Sell your DEVIL DOLL items on eBay ! Devil doll is one of the more bizarre/absurd group gathered in the database. This Slovenian character Mr. Doctor is the leader of this project somehow mixing classical music with gothic ambiances (mostly due to the vocals) and a rich symphonic prog with incredible hooks in the music. But the vocals can also be putting off some progheads, because they are simply overbearing at times, and borderline "grand-guignolesque", which is not always serving the music to the fullest. As there are many great rock passages, large portions of the music are closer to classical music, a very dramatic and expressive kind of music, further outlined by the vocals. To add a tiny but consequent remark, mr. Dr.'s diction is not always perfect especially when he tries to be more macabre or gothic, but this stays a very minor flaw. In some respects, the fusion between rock and classical approaches the perfection of Pär Lindh's Project in their album Mundus Incompertus. But unlike that album, in this one, the music is simply too much to handle. DD certainly has a lot to please many progheads, but their "musical formula" quickly wears thin, so I suggest you get one of their album, but stick with it, as one gets the uncomfortable feeling, that once you have one DD album, you have them all. All in all, it comes down to your actual musical tastes, and for newcomers, DD's music can either draw very positive reactions or can be highly repulsive. In my case, I can only be impressed by the execution of the album's music and the excellent sound, but even 10 years down the line, I wonder whether I actually like this type of music, regardless of the many qualities it has. To ask the question is almost giving you the answer. This would certainly have to go down as one of the most bizzare yet brilliant prog recordings I have ever heard. As like all DEVIL DOLL albums,the dark and foreboding nature of the music is pronounced and comfortably supported by the distorted vocals of Mr Doctor. "Eliogabalus" has a very strong theatrical presence througout and at times plays better as a movie soundtrack than an album. 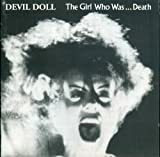 DEVIL DOLL are not to listened to by the young at heart as this is highly disturbed music which does move in and out of some real dark atmospheres. "Eliogabalus" is comprised of 2 long monster tracks which really feed off of each other nicely giving the listener strong continuity. DEVILL DOLL create everything from circus-like atmospheres to opera. Musically "Eliogabalus" is brilliant and contains lots of classical piano, E-Bow and Violin with great guitar as support. This is an album that will take a few listens before you may categorize as one of your favs, but you will be convinced!!! Amazing stuff!! This album is an excelent introduction for people who aren't familiar with the band. 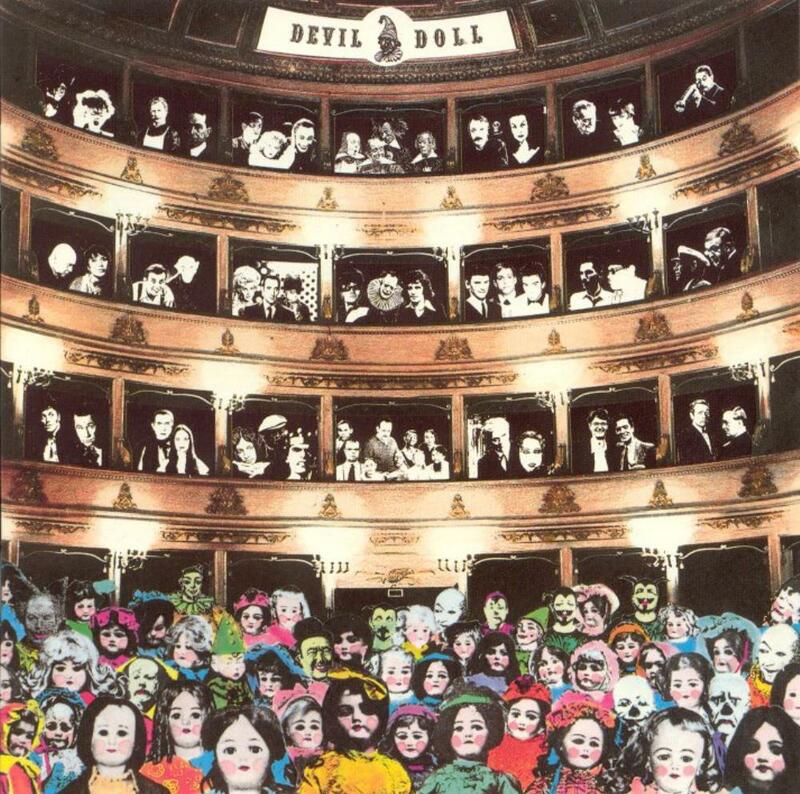 Devil Doll are a band influenced by progressive rock, classical music and horror movies. You can clearly hear their influence in their work. It's not as dark or as heavy as people say it is except for the singer who has a very strange style of singing which makes Devil Doll what it is and very enjoyable. Devil Doll's sound is heavy prog with orchestrations being at times menacing and scary. They combine those two different styles flawlessly and that's one of the great things about their music. So at the end what you get is a very theatrical piece of work. The album consists of two 20+ minute epics well sung and well crafted with varying themes and emotions. Mr. 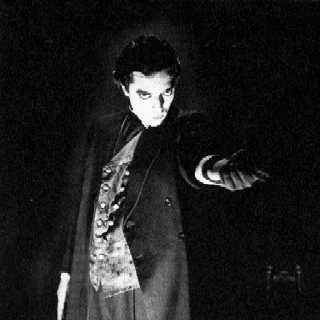 Doctor's voice is the main atraction in Devil Dolls music with his operatic approach to singing. His voice won't definetly appeal to everyone and he isn't the best singer out there either. There are some parts when the singing is unbearable, but luckily those parts are few and far between. If you're looking for a good symphonic hard prog album, then give it a try. I'm sure that you'll find something of your interest. Take a trip through Eastern Europe. Into the land of the Doctor, where darkness reigns supreme and the very essence of your soul will be tested. Well, not exactly. This album, perhaps more than others, fits quite well as a movie soundtrack and reminds me very much of music made by Ulver and Morte Macabre (Symphonic Holocaust) in that regard. At times the band can show grace and style, and at other times on this album it can be somewhat off putting. This album is more gothic in nature than other releases and less majestic as might be described in the band's other efforts. I prefer Mr. Doctor to Eliogabalus, which has never really impressed me and is my least favorite of the longer Devil Doll tracks in their discography. There's also some *gasp* post-rock to be found in the track Mr. Doctor about a third of the way through, as the drumming style and interweaving of instruments is somewhat similar to the style found in the post-rock genre. However, the track is not without flaws, as the rock/bass movement about 10 minutes in is nothing short of boring. Fortunately, after this section the rest of the track is stellar. I wouldn't begin my Devil Doll experience here. It's the weakest effort of the band and not exactly a good way to familiarize yourself with them. Lacks the majesty of the full orchestra as in Dies Irae, and the epic quality of the other albums. Should be picked up last, but certainly not forgotten. The second Devil Doll's album is not so stunning as their first masterpice... But it's still a marvellous piece of art! Maybe the problem is that this album is too similar to The Girl Who Was... Death, so it's not so surprising. It also lacks the incredible quality of the last symphonic Devil Doll's opus, Dies Irae. 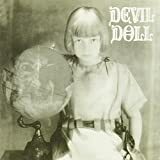 Nevertheless, this album is special in the Devil Doll's discography... It's divided in two songs! The rest of the Devil Doll's albums are just one track. This fact gives Eliogabalus some variety... The first song, Mr. Doctor, is a bit heavier than the second, with splendid heavy riffs greatly accompanied by strings and a great drums sound. The last part of this song is brilliant, having a bizarre circus feeeling, and with a really proper ending marked for the accordion played by Mr Doctor himself. The second song, Eliogabalus, is even darkier, slower and more ambiental... The piano is the dominant instrument in this part, with long instrumental passages, being the Mr. Doctor's voice not so present. This is also a fact wich is different from the first album: the Mr.Doctor's vocals are not so variated, and not so strident as the first band's album... And I miss it. There are people who hate the Mr.Doctor's way of sining, the sprechgesang, but I love it... And I wish in Eliogabalus it would prevail like the other albums, but it doesn't. 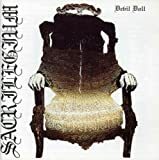 Nevertheless, the quality of the album is sublime... And if you've heard other Devil Doll album, and you like it, you'll also love Eliogabalus. Conclusion: even darker than The Girl Who Was... Death, this two sided album is maybe a bit under it in terms of quality. 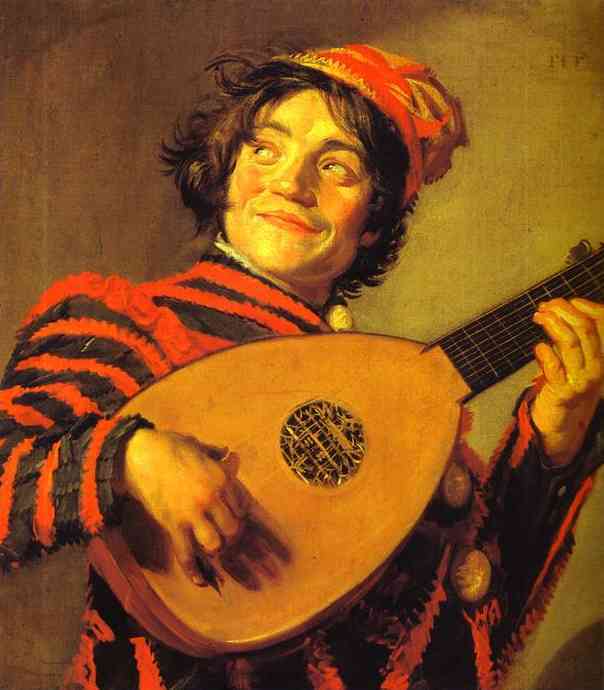 And maybe it's too similar, despite it has a different structure, a different use of instruments, and Mr. Doctor sings in a bit different way. 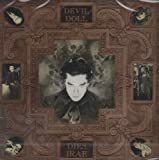 But the ususal Devil Doll's quality is still here, and so are the catchy melodies, and this irresistible mixture between classical music, horror film soundtrack, gothic and heavy metal. But if you have not heard any Devil Doll album yet, I think that their true masterpiece, Dies Irae, is their best point of entry. But if you choose Eliogabalus, you'll also be happy with your purchase, because this album is excellent. In 1989 Mr. Doctor worked simultaneously on three different projects: an esoteric work titled ''The Black holes of my mind'', an adaption on four works of Austrian composer Hanns Eisler under the name ''Mr. Doctor sings Hanns Eisler'' and ''Eliogabalus'', inspired by Antonin Artaud's "Heliogabalus: or, the crowned anarchist".Entering the studio in 1990 he had to face a very limited budget, so his work on Eisler's compositions was abandoned and the other two works were combined in a single album release, ''Eliogabalus''.The album features Roberto Dani as a newcomer on guitar and also fresh drummer Rick Bosco.It was reputedly pressed in three editions, two vinyl pressings, one of which was a limited one of 50 copies, and a CD one. The 20-min. ''Mr. Doctor'' was the composition intended to become the centerpiece of ''The Black holes of my mind''.Propably this is a cut-out version, which sounds a bit different from what Devil Doll has presented so far.The gothic and heavy elements are somewhat reduced for a more symphonic-oriented sound, which still contains Mr. Doctor's frightening whispers and some bombastic grooves, but it goes mainly in a rather dreamy style with strings, smooth guitars and orchestral keyboards/piano, while the band's leader even sings in a regular style, which reminds me a lot of Alex Caimati from NUOVA ERA.The music is more elaborate and polished with multiple variations between rockin' rhythms, pompous arrangements and spoken parts.The symphonic and operatic elements dominate this composition, which also contains a few excellent female-choir parts.The 25-min. title track does not differ much, even if it was to be originally included in a different work, meaning that Mr. Doctor was stylistically settled around the time.Of course ''Eliogabalus'' has a more varied depth of atmospheres and comes a bit closer to the sound of the previous album.The mood is quite dark and sinister with absence of ethereal themes, although there are even some minimalistic moments throughout.This comes as a mixture of Avant-Garde/Classical influences with full-blown Symphonic Rock, again the great string section and the beautiful guitar melodies prevail along with the soft piano parts and Mr. Doctor's ability to switch characters with his voice.Elements from Horror Film Scores and Ambient Music can also be tasted, ''Eliogabalus'' ends up to be a composition with some majestic moments but also lack of consistency. While the second work of Devil Doll has much in common with the debut of the ensemble, you should rather imagine a less bombastic and more refined version of ''The girl who was... death'' to meet exactly your expectations.Symphonic Opera with elements from Avant-Garde and Minimalism, not fully convincing, but certainly pretty atmospheric and well-composed.Recommended. Post a review of DEVIL DOLL "Eliogabalus"